That’s me 43 now. The only good thing that comes with this is that I share the same age as Louise for just under 5 weeks. Then she stretches a year ahead again. Which means I get my “toy boy” status back. In ultra-running terms 43 isn’t past it. Look at guys like my Scotland teammate Rob Turner, or the amazing American Jeff Browning, and even Karl Meltzer, all of whom continue to defy age. I read somewhere that whilst Cristiano Ronaldo’s age might be 33 in all his physically and flexibility tests he scores like a 21 year old. What it does mean though is that time is ticking on regardless. That could be taken as some sort of millstone, or point of deflation. You know the way a helium balloon deflates. Slowly, sadly and into the eventual flatness of the remainder of its existence? That. Cheery huh? For me it is a point of inspiration. To be able to compete at a decent level at this potential career twilight is one I appreciate so much that it is down to me to do everything I can to make the most of the best performances I have ahead of me. My VO2 isn’t likely to rise but that doesn’t mean for the ultras, and especially the 24 hour events, I cannot make some improvements in other areas. Having been on holiday and pretty much on reduced miles since the ACP100k two weeks ago, I am now ready to start looking for these gains again. My next race is the West Highland Way. I am running the Madrid marathon at the end of April but purely as a training run given the proximity to the ACP and the fact that the WHW is my summer A race. That means for the WHW I am into real specificity mode. I will be on the trails constantly. The winter was spent more on the tarmac and towpaths than I’d ordinarily like and it is time to get happy with the rocks, mud and undulations that the trails bring. Even whilst in Playa Blanca I managed to get up a few peaks and see the beautiful little pueblo from an entirely different angle. It was gratifying and awesome. I am extremely lucky in that I have the Carron Valley nearby. I can mimic a lot of the WHW here. I am doubly lucky in that I recently passed my driving test. This means I can get on the Way more than I have done in the past. You might see me out there early on a Saturday morning over the coming weeks! The WHW is already looking a hot event this year. I haven’t even looked at the field yet, I’ll just ask Adrian Stott who the players are as that chap is an encyclopaedia of knowledge when it comes to these things. However, I am already aware that we have my buddy Davie Gow running and Davie is looking lean and mean. James Elson is coming up fresh from his Barkley adventure. Add to that my Scotland teammates Dave Ward and Alasdair Higgins and there’s a depth in it already. There are a few other dark horses likely that I need to look out. The start list will get a proper going over in May. Flags appreciated though. I am delighted to be going back to the West Highland Way this year. After winning in 2016 I haven’t been able to get on the famous trail for the race since. That bugs me. Great thing is that having held the old shield with all its history and who’s who of Scottish ultra-running carved into I don’t feel any sense of unease about the race. Just the sheer joy of being able to go back to Milngavie for a 1am start. It’s historic and I am blessed to have a wee nick in that rich tapestry. One of the most anticipated parts of running the race again in 2019 is that Louise will be crewing for me with trusted and regular hands Andy & Alan. This will be Louise’s first time rope side for an event. I am really excited by this. Come Glencoe both Louise’s and I’s anticipation might have worn off. She promises to make better banana bread than that which propelled me to victory in 2016. Don’t tell her sister Alison though. 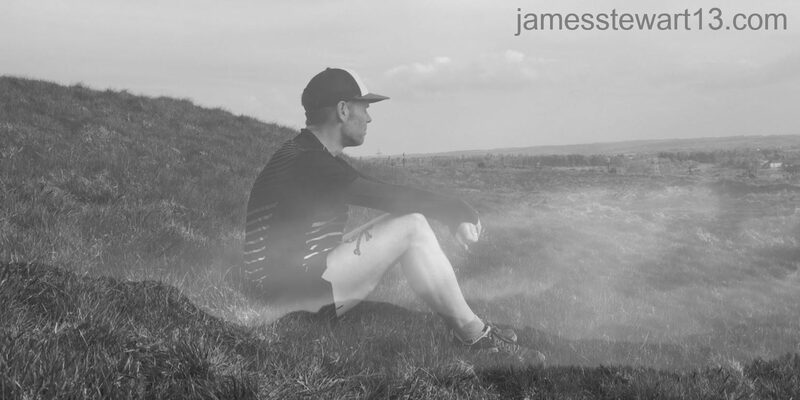 An other good read James the very best of luck with WHW . look like it could be a very hard and exciting race.